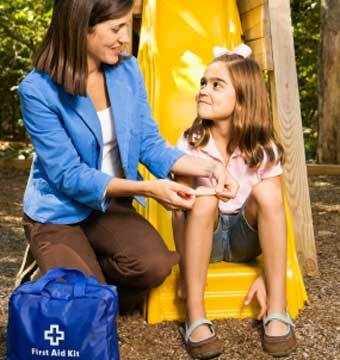 SAVE A LIFE Corporation, offers a specific medical training course for Pediatric CPR and First Aid training. This course is taught by one of our medically experienced and professionally trained staff. We can train your staff on-site or you can attend this course at one of our upcoming scheduled times located around the Twin Cities area. Individuals are also welcome at any of our scheduled training courses. 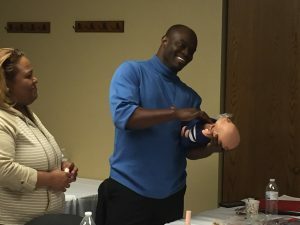 The Pediatric First Aid & CPR Course is a credentialed course specially designed to train those responsible for children’s health in meeting state-specific requirements. Course modules cover first-aid basics; medical, injury, and environmental emergencies; verbal and pediatric CPR; choking; and additional topics. ECSI/AAOS/AHA courses offered. Hands-on scenario-based training. Intended Audience: Education and childcare professionals, recreation and other community program staff, new parents, guardians, and other caretakers. Students Materials: Pediatric First Aid & CPR Textbook. Instructor Materials: Instructor toolkit, First Aid supplies, CPR masks, Manikins, and Pediatric First Aid & CPR Instructor Manual. To acquire the next step towards being properly prepared for a medical emergency, and receive training courses give us a call 763-576-8146 or contact us by email Contact Us.